2 Bedroom Flat For Sale in Totnes for Offers in excess of £190,000. 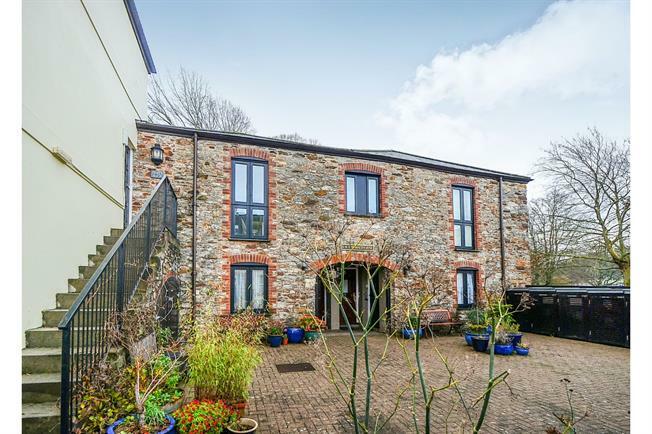 Beautifully presented ground floor flat, situated in the heart of Totnes with a level and easy walk into the town centre and being within close proximity to the River Dart. This property benefits from electric heating, two bedrooms, spacious living room and modern fitted kitchen and bathroom. Externally the property has use of a communal courtyard and a level walk to the town centre. Entrance hall with electric heater and storage cupboard. Range of wall and base unit, stainless steel sink and drainer. Space for fridge and space and plumbing for washing machine. Four ring electric hob. Double glazed window with side aspect. Hatch into living room. Living room with electric heaters. Double glazed window with views over the river. Space for dining table. Double bedroom with built in wardrobes. Double glazed window with front aspect. Electric heater. Double glazed window with views over the river. Electric storage heater. Part tiled shower room with corner shower cubicle. Wash hand basin and low level WC. Paved communal courtyard with potted plants and shrubs and a wooden bin store.